Now you don’t. 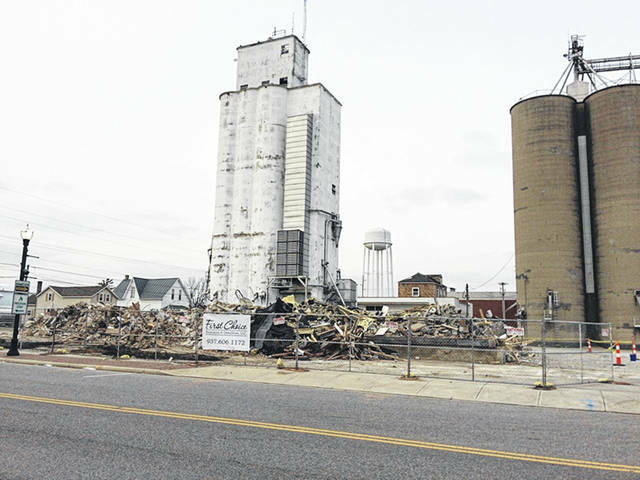 Sunrise Cooperative has begun demolition of grain silos in Minster. 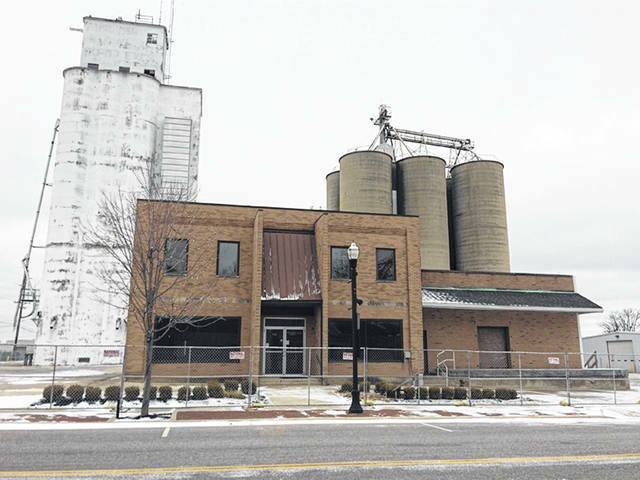 MINSTER — The 66-year-old Sunrise Cooperative grain silo, along with its seed cleaning warehouse and seed storage building, will be demolished soon. Located at the corner of Ohio and 14th streets in Minster, the three buildings were constructed in 1952 as places to shell corn, dry the grain and load rail cars. According to Operations Manager Doug Hoying, the buildings no longer meet the needs of this farmer-owned business. “The old elevator, which holds 55,000 bushels, is too small to meet our needs,” said Hoying. He added that the silo’s elevator loads too slowly to accommodate the size of loads farmers bring in now. “The nine newer elevators we have now hold 500,000 bushels and load much faster,” he added. Even the driveway to the old elevator is too small to accommodate some of the large wagons farmers use now, he said. The seed storage building, which faces 14th Street, is not set up to efficiently unload grain. Hoying said current practices use flat storage decks and forklifts to move grain. The old building has an elevated dock. Further, the seed cleaning warehouse just north of the silo is no longer used. The co-op will continue operations in its newer buildings just east of the older structures. “We are not getting out of the grain business, just adjusting our methods to serve our customers,” said Hoying. The demolition started Friday, Jan. 11, and is being done by First Choice Excavation and Demolition. Sunrise Cooperative has more than 7,000 members and is completely farmer-owned. When built originally in 1952, the silo and supporting buildings were known as Minster Farmers Co-op, then Tru-Point, before merging with Sunrise Co-op.